Traveling to Club Balai Isabel was easy. From SLEX go directly to Startoll and take Tanauan Exit for a no-frills journey. 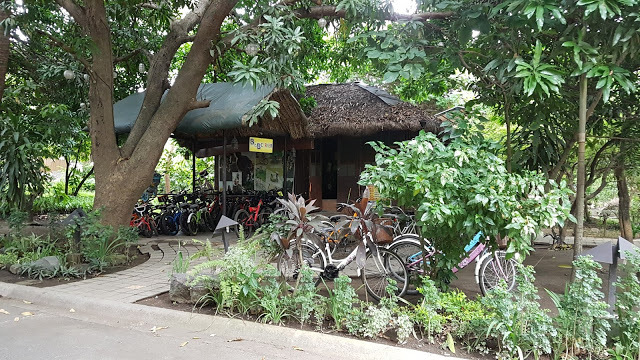 But if you want to visit Tagaytay along the way, it’s also amenable but the road connecting Tagaytay and Talisay is quite steep and curvy. Club Balai Isabel is a huge hotel resort located at Talisay, Batangas. This place doesn’t have beach as it is situated near the Taal Lake. They offer quite a lot of accommodations. My guestimate is that they can accommodate more than 200 pax for overnight. 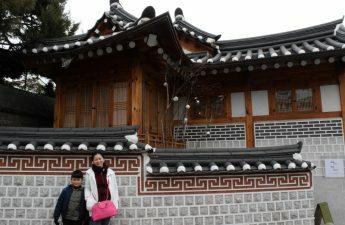 Though the place is huge and can billet a lot of people, surprisingly, the area is very serene. 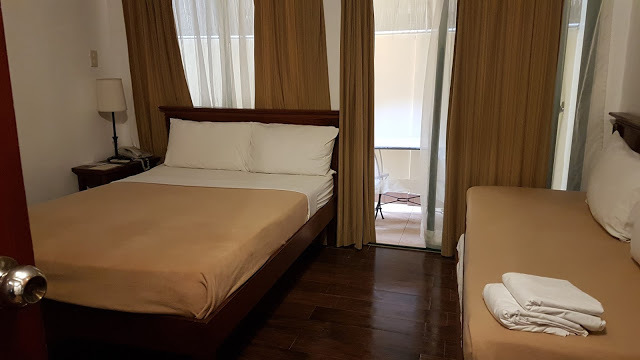 We booked a suite room at Mataas na Kahoy area. The room that we booked is a one-bedroom apartment with complete cooking and dining amenities. This saved us a lot in terms of food as we were able to cook. 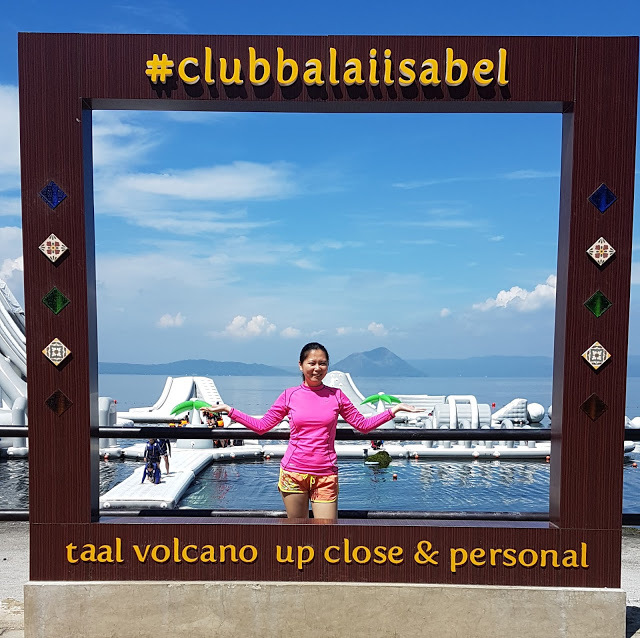 Let me give you an honest review of my visit at Club Balai Isabel. Room – 5 out of 5. The room that we booked is a one-bedroom apartment that according to the website, can sleep 4-6 people. However, when we checked out our room, it can sleep 8 people comfortably. 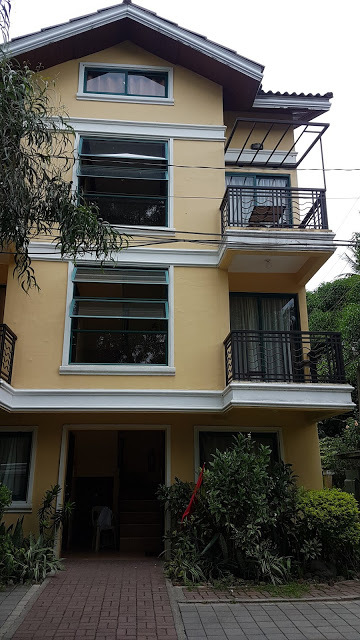 It has air-conditioning unit inside the bedroom and outside the dining area, a refrigerator, television set, cabinets, and a toilet and bath. 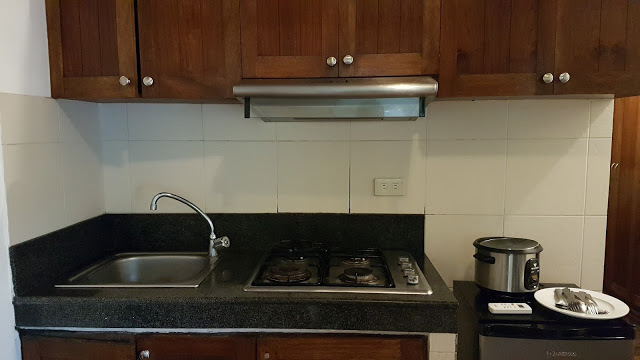 It has complete cooking and dining amenities (gas range, rice cooker, dining ware, and utensils). Small size toiletries were also provided. Amenities – 4.5 out of 5. Club Balai Isabel has three swimming pools strategically placed in different areas of the resort. It has a playground for kids. Bike and billiards rentals are available. There are also water sports such as jetski that you can rent. A restaurant and a bar is also present at Club Balai Isabel. However, the restaurant closes at 9PM, while the bar closes at 10PM. Last order can be made 15-30 minutes prior to closing. We just think this is quite early for a hotel resort. 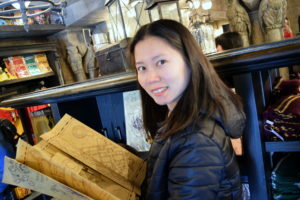 We had to go out and look for a place where to buy drinks and food. Staff – 4 out of 5. 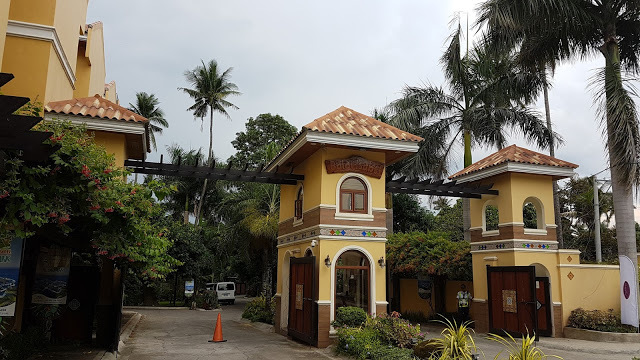 We had nice, slightly not nice, and not so nice experiences with the staffs of Club Balai Isabel. The nice one was when we request to grill food in an area close to our place (which should be off-limits, they willingly allowed). The slightly not nice one is when we had to call housekeeping 4 times to clean our place. The not so nice one was when we were checking out. 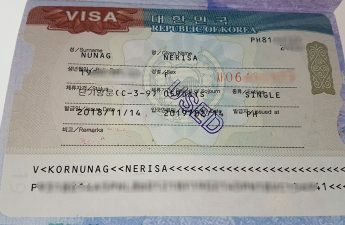 We already paid a deposit but when we were checking out, the staff wasn’t able to relay to us properly how to complete the payment and was insisting we pay the amount in full, not considering our deposit. But this was resolved after discussing everything. Food – n/a. Since the room we booked has complete cooking and dining amenities, we weren’t able to try the food they serve. Location – 5 out of 5. 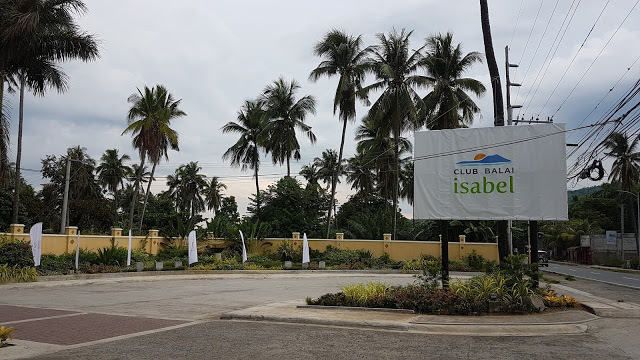 Club Balai Isabel is located at Talisay Batangas. Three hours away from the metro. 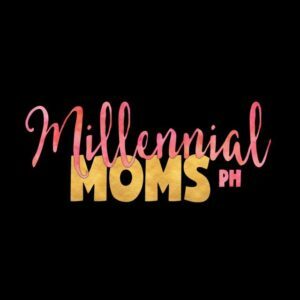 You can visit Tagaytay along the way too. We went there by car and it was a smooth drive. I haven’t tried doing the public commute, so I am not sure how hard it would be. Value for Money – 4.5 out of 5. 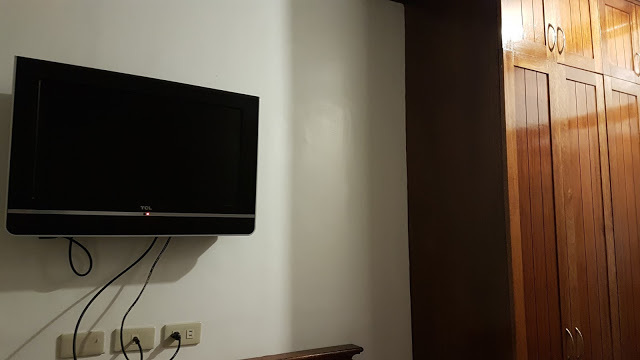 Our room costs us Php5500 overnight. Since we cooked our food, it saved us a lot of money. The location was not far too. Aside from the minor issue with the staff during check out, I think our stay was okay. Overall, if you want to place to relax from a stressful workweek, Club Balai Isabel is a good option. The Aqua Park is very nice additional amenity. I honestly want to commend Club Balai Isabel for having this. Stiff competition in hotel resorts is rampant nowadays, and for your place to be noticed, you have to have an offer that others don’t have. 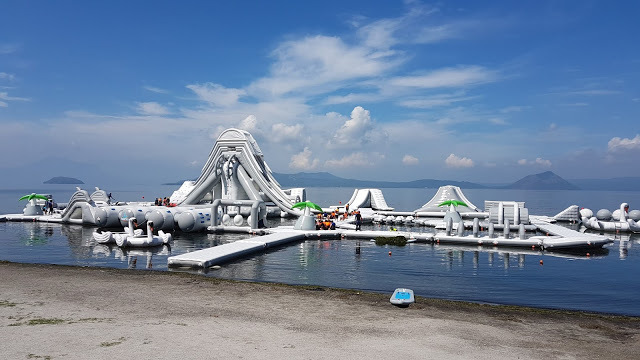 And Club Balai Isabel has Aqua Park. 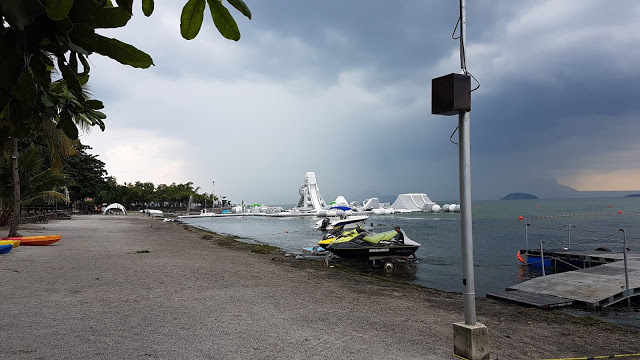 So I urge you to visit Club Balai Isabel if not for the serene place, do visit it because of the Aqua Park. 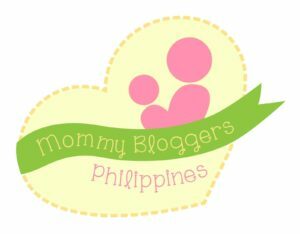 PS: This was originally published last August 2017 in my previous blog: Baby Neo’s Mama.